Office 365 is now available for the first time on the Mac App Store. Now Mac users can easily download Word, Outlook, Excel, PowerPoint, OneNote and the whole suite of Microsoft’s popular apps. Users can also purchase a subscription for Office 365 from within the apps, so they can get up and running instantly. Office 365 for Mac has been designed specifically to support features that are unique to the Mac experience — like Dark Mode and Continuity Camera in macOS, as well as the MacBook Pro Touch Bar and the Mac’s Trackpad. Office 365 arrives on the Mac App Store following its recent redesign. 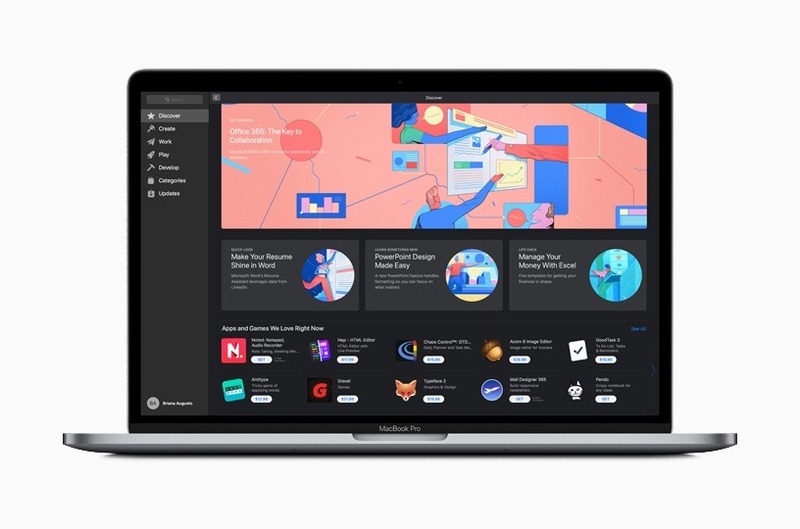 With Office 365 on the Mac App Store, these apps can now be easily distributed to employees using Apple Business Manager, a central dashboard where IT can deploy devices, apps, and licenses. Now IT can quickly enable employees to get to work with Office tools across Mac, iPad, and iPhone, with new features designed specifically for Apple devices.